Charlott Markus’ work often takes its inspirations from a specific context or location and with the use of historic references and a symbolic language every little detail in an image or an installation becomes important. Nothing is coincidental in Markus’ work. A precise balance is tangible in the composed entity of Markus: an entity between color and form, order and chaos, narration and abstraction. She has an interest in playing with layers and perspective, which makes it hard to gauge how individual pieces relate to space. 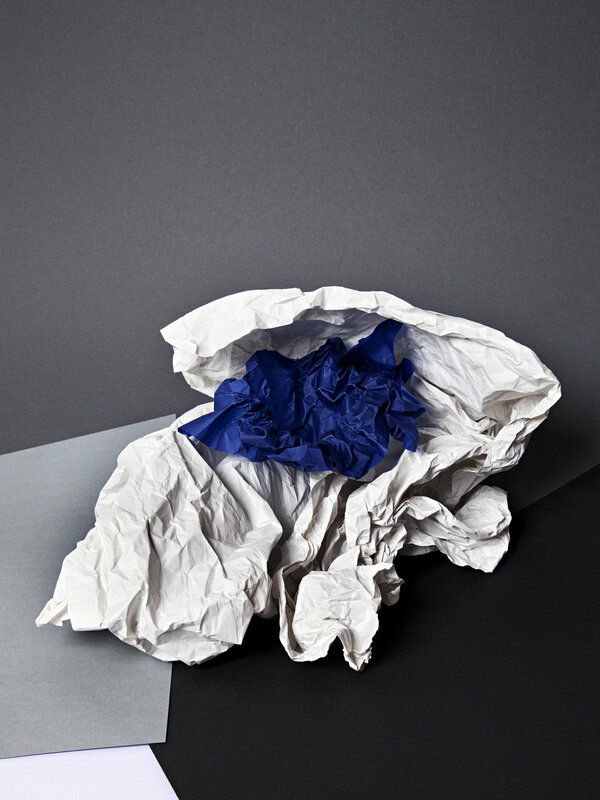 They become less like photography and more like paintings or sculptural collages. Markus uses things that are found in and related to a specific space or she search for remnants related to a specific topic elsewhere when doing studio work. The collected objects are re-composed into balanced formations, many times almost abstract. The way she works is not only investigating space, color and form but an indirect investigation into relations and structures. 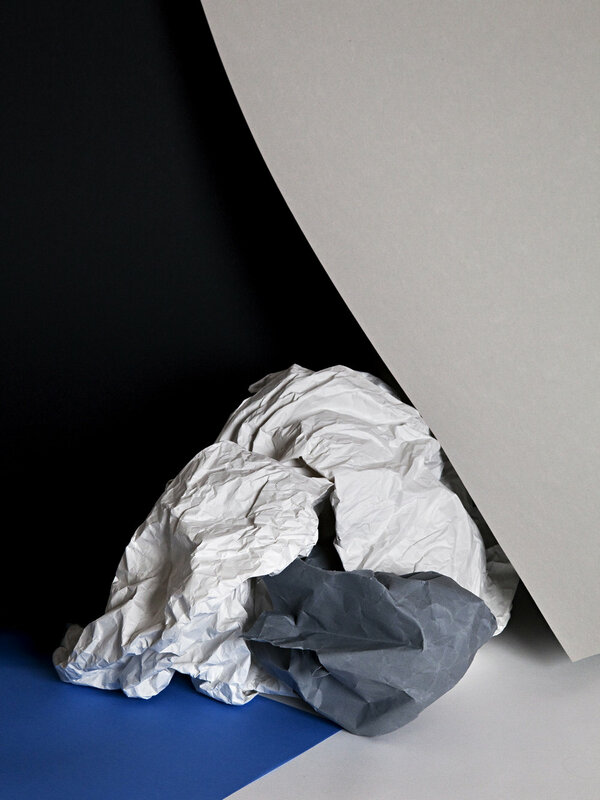 The below series ‘A not so still life (Tabula Rasa)’ shows still lifes that are built out of blank and crumbled, old and new pieces of paper. The work was inspired by tabula rasa theories that have circulated and been debated for centuries. The term Tabula rasa means a blank slate, a slate with no info, it is clean. It is the epistemological theory that individuals are born without built-in mental content and that their knowledge comes from experience and perception, a nature versus nurture debate.